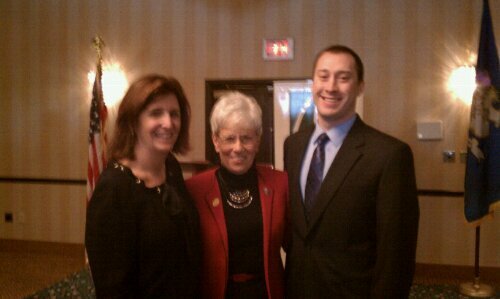 Michael went to a chamber breakfast at the Clarion in East Windsor with Lt. Governor Nancy Wyman. She talked about the recent budget process in the state of Connecticut. Shown above are Karen Jarmoc, Nancy Wyman and David Kiner.